This blog post was written by SMART Exemplary Educator Mark Hartwright, and initially appeared on his personal blog here. Between teaching my year 1 students and leading the computing in my school I like to try and keep my ear to the ground on most things #EdTech. So with only a few weeks until #BETT2018 I’m already getting quite excited! So excited that I’m already starting to pack my #BETTBag! Starting with the bag itself, this year I’m packing a bigger bag. But with nothing in it! If you are anything like me, free resources are a bit like Christmas (but without the play rehearsals). I love them! I’m willing to BETT (sorry for the pun) that there will be a whole load of companies willing to give you plenty of them. Leave room. Having said all that when I have visited BETT in the past it’s not only the resources that are great but the people who are giving you them, too. When you meet these people make friends with them, they are there to sell you their product, but they are also there to give you great free trials and discounts! Haggle! Use your phone to keep their contact details, take picture of what they have on offer to relay to others back at school. Twitter feeds come alive during #BETT2018 and you will find some good ideas where to go for the best products or even the best giveaways! The venue, ExCeL London, has a good fast Wifi, but try linking 20,000+ devices to it… it is kind of slow. Definitely, one to avoid. I might be adding a Bolt on to my Data plan just to make sure. If I only could take one thing it would be these. During the second day of my very first #BETTshow I was listening to a presenter, I stayed after to ask a question only to find that I could hardly talk. His comment was “It’s alright, you’ve got the BETT cough,” like it was a common thing to get. Ever since I’ve stocked up and made sure I’ve got a bottle of medicine on hand after the day has finished. Having said that there is a corner shop 300 yards out of the west entrance, where you can also buy snacks A LOT cheaper than in the ExCeL. When it comes to my classroom, it’s quite typical. I have some tech, a SMART board, access to some iPads, and a shopping list, but sadly lacking a winning lottery ticket to fund them all. Whatever you see when walking around #BETT2018 make sure you consider your students' needs and more importantly the benefits of the product you are looking at. I would love to bring so many of these back to my room but some of them, however brilliant they could work in another classroom, I’m quite sure they would not be right for the need of my children. I do encourage you to look at as many as possible and get to know them. I would whole heartedly recommend visiting one stand in particular. D90, the stand of SMART Technologies. 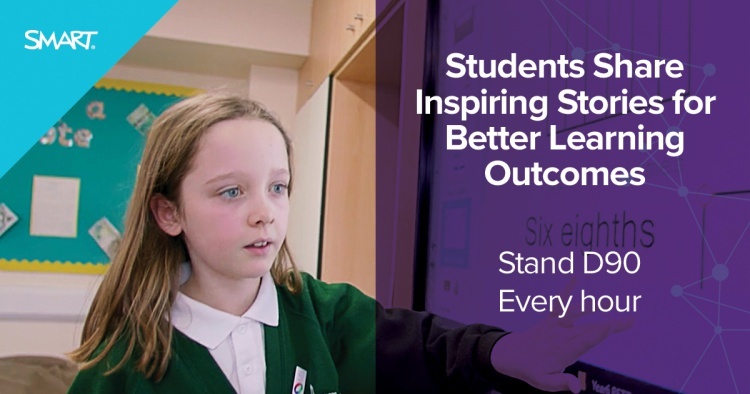 Have a look at their Bett 2018 microsite here. They have got a load of really interesting speakers talking about education and the use of tech to help to learn. Not just selling the products. Also some amazing students showcasing their own success stories. I would not be without their software to teach my students! If you have not seen the software in the last 2 years, make it a priority to go and play with it. It is the best! Finally I’m going to try to take this. I know I’ll have an even longer shopping list by the end of it and will be trying to convince him of at least 1 new toy! So that about covers it. My bag is fully ready, charged up and good to go. All that is left is to find a good pair of shoes I can walk around in all day. What is in your #BETTbag? Better yet, would you recommend taking that is not in mine?